Independence, Iowa (August 2, 1977) – Home state favorite Lee Kunzman of Guttenberg ran into suspension problems on lap 6 and was forced to drop out of the special USAC midget feature at Independence Motor Speedway on Wednesday night, but for Tinley Park, Ill.’s Gary Bettenhausen, the race was just another pearl on a growing string. 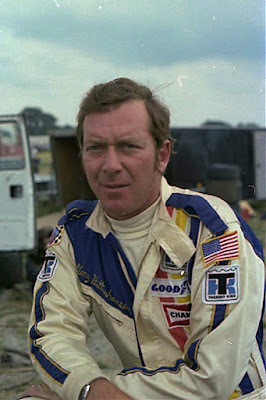 Bettenhausen, a leader through much of the 1972 Indianapolis 500 and a popular though not too regular figure on the USAC Midget circuit, passed Larry Rice of Crawfordsville, Ind., on the 29th lap of the 40-lap main event and held off a stellar field of national stars for the Indee checkered flag, his fourth in as many USAC Midget starts this year. The victory earned him 30 USAC season points, but failed to lift him into the top-10 in the Midget standings. 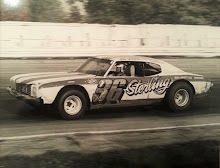 All 10 of the current point’s leaders were in the Independence field, including front-runner Billy Engelhart of Madison, Wis., who managed a sixth place finish in the feature. 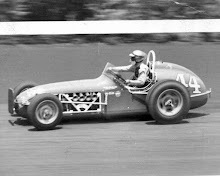 Kunzman, also absent from the USAC midget top-10 primarily because of recent successful ventures into other racing divisions including the Championship Indy-type cars, started high in the pack and provided the crowd of about 3,000 with several thrills as he moved up into the third spot early in the race. Kunzman's success was short lived. 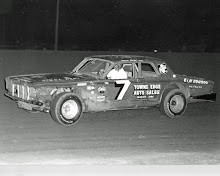 After a pair of short delays due to yellow flags, Kunzman dropped behind Bettenhausen into fourth and fell to sixth on the 14th circuit around, the 1/3-mile dirt oval after hitting a hole in the bottom of turn two. The journey into the hole proved fatal to Kunzman's suspension and two laps later the popular Iowa driver wheeled his No. 96 McClung Advertising Sesco into the infield. Kunzman climbed from the car, walked to the left rear wheel and push on the frame with his foot. The car went down but instead of bouncing back, rose in sickening slow motion and the observing crowd let out a collective moan. Competitively, Rice was Bettenhausen's biggest problem. The Indiana driver, currently third in the Midget standings behind Engelhart and Duane Carter of Huntington Beach, Calif. started second and nabbed the lead on the first lap. He controlled the race for 29 laps, consistently fighting Bettenhausen off, but made one mistake. 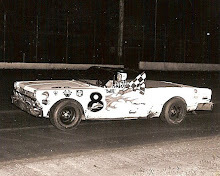 "I played him and played him and finally he got up high and I got around," said Bettenhausen, who started sixth. 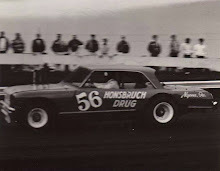 Rice stayed on Bettenhausen's heels, finishing about three lengths back, while Carter was right behind at the finish. Fourth went to Tom Bigelow of Whitewater, Wis., while Steve Cannon of Danville, Ill., nabbed fifth. Bigelow made the biggest' advance in the race in moving up from a 12th starting slot. Gary Bettenhausen, Tinley Park, Ill.
Duane Carter, Huntington Beach, Calif.